If you want to host a HEALTHY Super Bowl party this Sunday or at least offer some healthy alternatives to the mainstream greasy and unhealthy chips and snacks, then I have just the option for you! RHYTHM KALE CHIPS are the evolution of the standard chip. 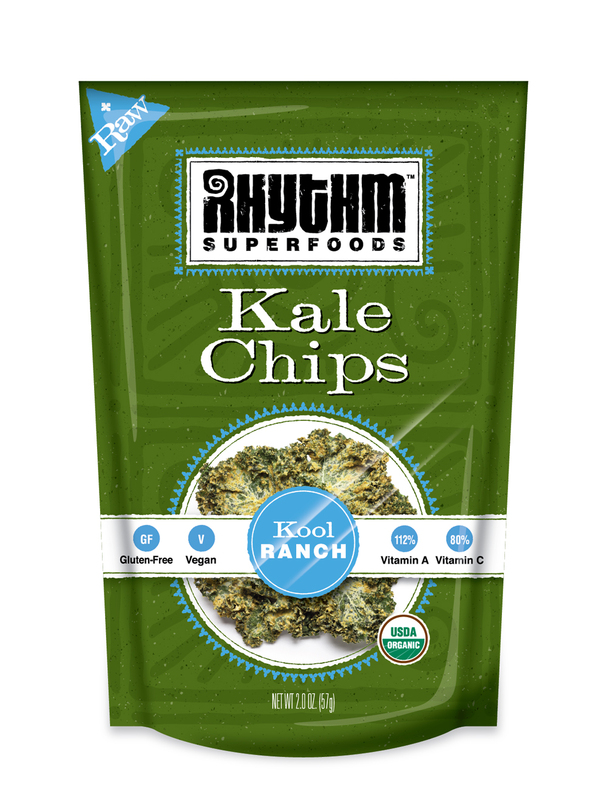 Each 2 oz bag of Rhythm Kale Chips starts out as a whole bunch of garden fresh kale. They then mix it with one of their hand-crafted dressings made from a perfect blend of fresh organic vegetables, seeds, juices, herbs & spices. Instead of baking or frying, these healthy chips are air crisped at a low temperature which maintains the RAW living enzymes and maximizes nutritional potency. My favorite part about Kale Chips are that they are a natural superfood snack made with all organic ingredients, the bulk of which is dehydrated kale instead of the typical fried or baked grains used in most other salted/savory snacks. KALE is a nutritional powerhouse. As a member of the cabbage family (Brassica oleracea Acephala), it's rich in powerful antioxidants, phyto nutrients and carotenoids. It's also an excellent source of Vitamin A, C, K, B6, Calcium, Manganese, Iron, Potassium, and fiber. These kale chips are not only REALLY healthy but they are also great for special dietary needs as they are gluten-free, GMO free, organic and vegan. They cater to all kinds of diets and of course the consumers are gaining more nutrients since the chips are made out of kale. 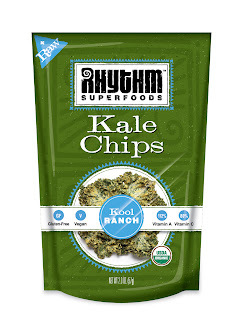 Rhythm Superfoods Kale Chips come in 5 flavors: Bombay Curry, Kool Ranch, Mango Habanero, Texas Barbeque and Zesty Nacho. Our family really liked the Kool Ranch and Texas Barbeque! Buy It: You can purchase Rhythm Superfoods at retailers Nationwide.